Creating the ultimate sandwich just got easier. Meet Jim Beam's Bacon Mustard, a handy little condiment that combines the best in meaty bacon goodness with lashings of hot, tasty mustard. 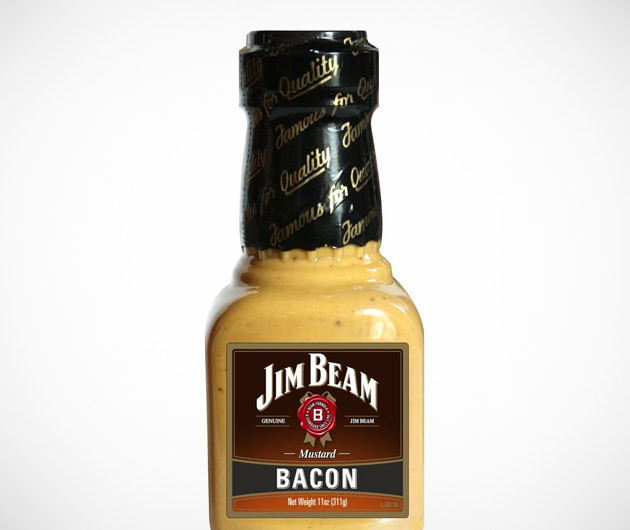 Just imagine it: oodles of chicken, ham and pork sandwiched between toasted bread, all lovingly topped with lashing of Jim Beam Bacon Mustard. Tasty.